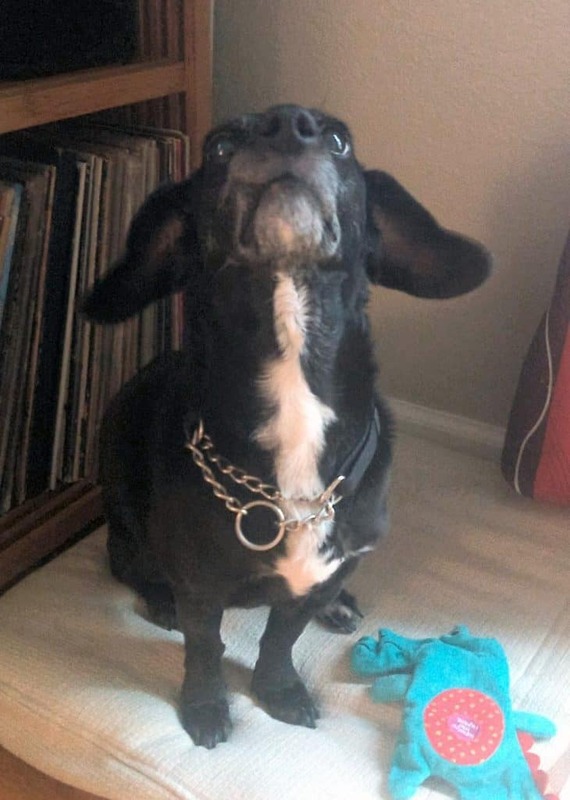 You may remember that some 7 odd years ago, we brought home a young, mostly Dachshund from the Dallas SPCA. We had just gone to “look” at dogs but instead came home with Wendy. We treated her heart worm and took her to puppy training class and doggy daycare. She moved to Denver with us in 2014. We always knew Wendy had several quirks- she enjoyed eating paper towels and Q tips, didn’t have much use for other dogs, and was anxious/leash aggressive. We loved her anyway and took her to extra and intensive training after Soumaya was born and it was clear than she was anxious and aggressive around even our baby. As Soumaya has grown and become more active and mobile, it became clear that Wendy was still not comfortable around her, despite our best efforts. So, yesterday, a nice woman named Marie who is retired and who loves older dogs and dachshunds in particular, picked Wendy up and took her to her new home in Louisville, CO to be snuggled all day every day. We gave Wendy extra treats and scratches and took her for a last walk. It was a hard decision for us but one that we know is the best for Soumaya’s safety and Wendy’s happiness. — P.S. We worked with an organization called Pet Rehoming that matches pets in need of re-homing with folks interested in adopting. They perform a background and reference check and are available for assistance if the new owner needs help or resources. We are so grateful to have found a home for Wendy without children. Wendy is a sweet little girl. She is about 8 years old, spayed, up to date on shots and healthy. This lovely girl weighs about 20 pounds and is house broken and well behaved. She loves to cuddle with her owners, and is a sweet, well behaved dog that requires very little in the way of maintenance. Wendy’s owners love her very much and are heartbroken to have to face rehoming her. Unfortunately, since they began their human family, Wendy has become more and more anxious and on edge. The more mobile the baby becomes, the more anxious Wendy seems to become. They are concerned for Wendy’s well-being, and do not want to risk their baby being nipped. Wendy is looking for a loving new home. She needs a home where she can be the only dog, and with adults only. 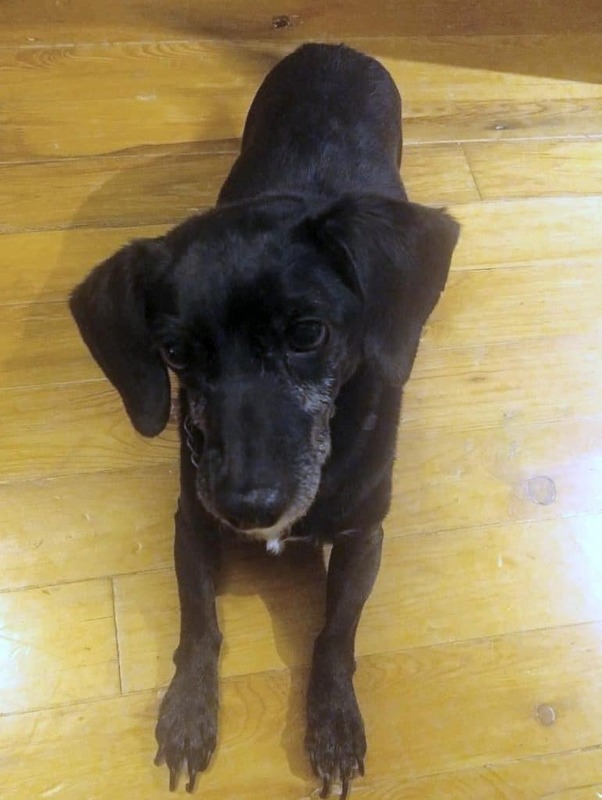 She would be the perfect companion for retired dog owners with lots of time to spend with Wendy. She would love to have a back yard to enjoy. Wendy is a homebody, and is not fond of car rides. She really would be the perfect fit for someone with mobility issues who spends most of their time at home. Questions about Rehoming a Dog in Denver? Contact our Denver dog rehoming team today. Text REHOMING to (888) 833-2128 or call us toll free at (888) 720-3322. We look forward to hearing from you! Age: Approximately 9? We adopted her 7 years ago and they estimated she was 2 years old at the time. Health: Wendy was heartworm positive when we adopted her in 2011. She was successfully treated and has been heartworm negative since then. Wendy has leash aggression- she lunges and is generally nervous around other dogs when on her leash. We have had success working with her on this but she is not the type of dog you take to the dog park. She doesn’t enjoy car rides. Wendy is not comfortable around children and as our toddler has become more mobile, we feel it is safer for everyone to find another home for Wendy without children. Wendy is a sweet dog that we have loved for 7 years. As our toddler has become more mobile, Wendy has become less comfortable around her and is generally uncomfortable around small children. We took Wendy twice to three weeks of intensive training with the Colorado Cell Dogs program and she did very well and her confidence increased. However, it has become clear that the safest option for our family is to rehome Wendy in a home without children. Wendy is sweet and generally mellow in the house and around adults she knows. She loves our neighbor and does very well with her when she dog sits. Wendy likes to snooze in her crate, in a chair, to cuddle on the couch, or to get head scratches. Wendy enjoys eating, waiting for us to drop food while cooking, and short to medium length walks. Wendy can be overwhelmed if strangers try to pet her head while she is around “her people”. Wendy responds to commands such as down, kennel, release, heel, and say hello. We haven’t been able to work on these much since our toddler started walking as we have to be very vigilant to keep the two separated. Wendy would also have alumni privileges with the Colorado Cell Dogs program., meaning she could go to obedience tune-up trainings and board with the program. What Brand of Food Does Wendy Eat? Wendy is fed about a half a cup of dried Hills Science Diet twice a day in her crate. We are heartbroken that we feel like we need to rehome Wendy. 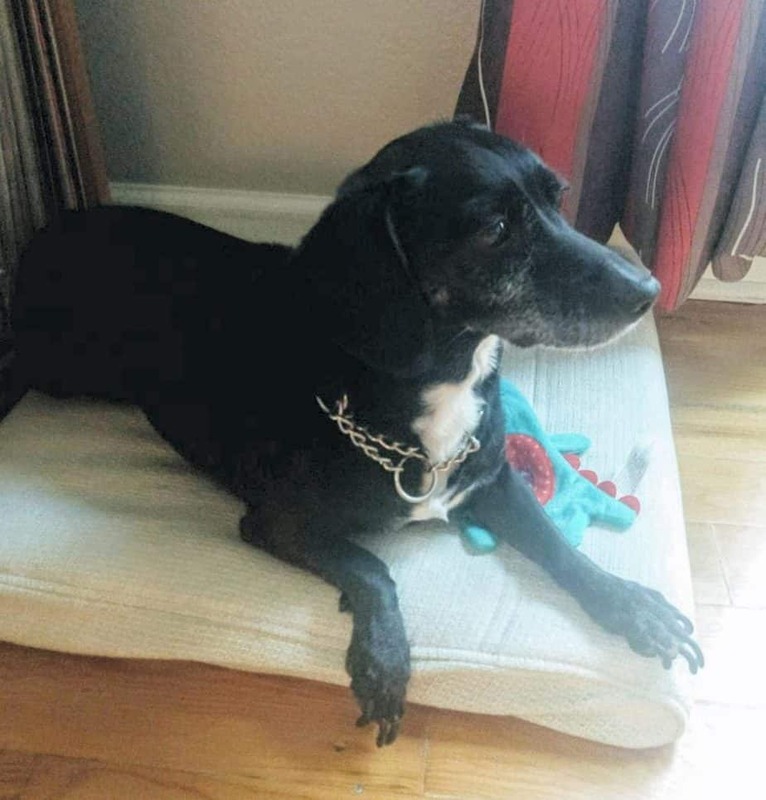 She would be a great dog for retirees or someone who has no children in their household and who doesn’t feel strongly that they want to socialize their dog with other dogs. Questions about Rehoming Your Dachshund? Contact our Dachshund dog rehoming team today. 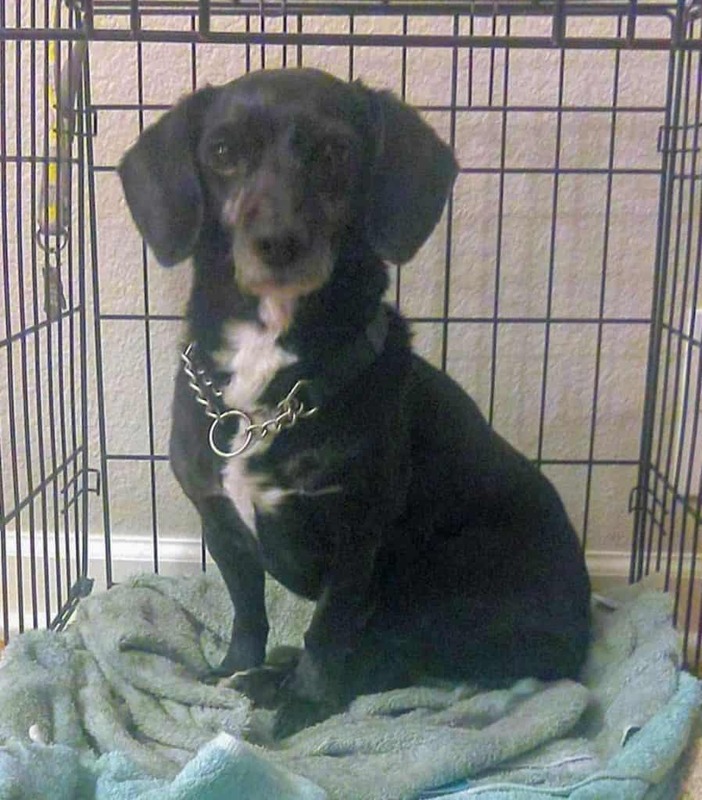 Text “DACHSHUND REHOMING” to (888) 833-2128 or Call us toll-free at (888) 720-3322.